Playing as part of What The Fest!? 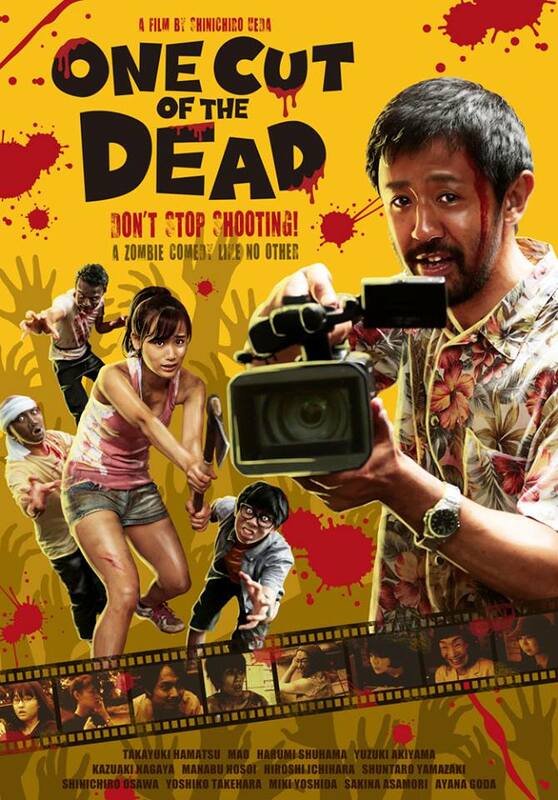 One Cut Of The Dead is a Zombie film that is not a Zombie film or it is? Call it what you want but one thing is for sure this film has a big heart and a bigger funny bone. Simplifying the plot to 'the makers of a zombie film, end up being attacked by real zombies' does the film a huge disservice but it also should be all you know about this film. The beauty in this film is where it goes. It is audacious and some times frustrating (until you get the bigger picture) film that is one of the most creative I've seen. The film plays with you from the beginning, a 37 minute one take, which is a huge undertaking considering what happens during these 37 minutes. From there it goes to wild and unexpected places, swapping up genres but not really and subverting all that you saw in the first one take. Every time you think something bizarre is happening, be patient because everything will be explained and by the 3rd act, you should have a huge smile on your face. 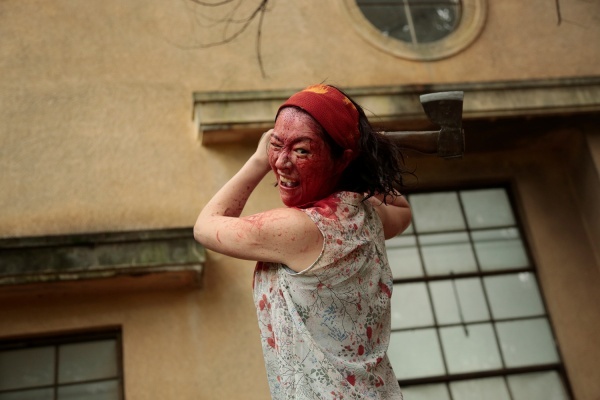 All the performances are pitch perfect too, from the obsessed director (Hamatsu), to the final girl (Akiyama) - don't worry that isn't a spoiler. However, the 2nd act really slows the pace of the film and tests your resilience to see the film all the way through but the upside to this is that you get ten fold the returns for the investment of your time. Director Shin'ichirô Ueda has made a brilliant film that can't be replicated and actually boggles the mind thinking about just how this was done. One Cut Of The Dead proves creativity even in a sub-genre as played out as Zombie films, can still be injected into these films, you just have to think outside the box. Played as part of What The Fest! ?